Harrogate named happiest place to live in the UK: Did your town make it into the top 10? Research carried out by property website Rightmove as shown that the North Yorkshire town of Harrogate is the happiest place to live in the UK. The ‘happy at home’ index measured inhabitants’ satisfaction of their area, based on factors like safety, neighbourliness and amenities. 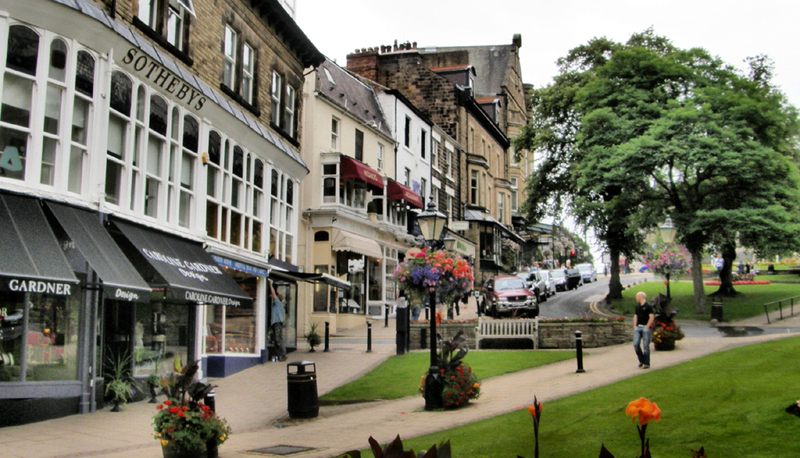 Although Harrogate didn’t rank highest on one particular aspect, its residents felt happy across the widest range of factors, such as sense of community, the low youth unemployment rate and beautiful scenery. With its impressive Victorian architecture, it’s not hard to see why the Roman Spa town is so popular with locals and tourists alike. JoJo has been in a lovely area of Harrogate for a few years now, and our store staff particularly love the stunning Valley Gardens and Betty’s Tea Rooms for those delicious cakes! The survey results prove that despite the well-known saying, it really isn’t grim up North, with the Greater Manchester town of Stockport coming in second. Although locals complain about the lack of nightlife in the area, they do enjoy the juxtaposition of the nearby countryside with Manchester city centre. But which areas didn’t do so well? Perhaps surprisingly (or unsurprisingly – depending on which side of the fence you’re on! ), nine out of ten of the ‘unhappiest’ places to live in Britain are in London, with East London given the lowest score. Despite efforts to improve the East End, including – most notably – last summer’s Olympics and the opening of one of Europe’s largest shopping centres, it seems residents are still generally dissatisfied with their area. But is this level of dissatisfaction to be expected with any major city? Interestingly, Dudley is the only town listed in the bottom 10 which isn’t in London. If any of our readers call Dudley home, we’d love to know what you really think of your town – do you feel the result is completely unfair? Did your area make it onto either list? Perhaps you feel like it deserved to be? Tell us why – we’d love to hear your views. ← JoJo Opens in Norwich!